Some time ago I stumbled upon the news that Avatar Korra will get her own Nendoroid. As a fan of the Avatar series, I of course was excited. And yet, I also felt that Good Smile Company missed a great opportunity to chibify one of the most chibifiable of all the Avatar characters. I am of course talking about Avatar Aang, specifically his young self from The Legend of Aang. I felt Aang should have been the obvious choice, and I even talked about it in a comment I left on the Nendoroid Korra page. Someone suggested contacting GSC about my idea, so yesterday I did just that. On that note, allow me to describe how I imagine a hypothetical Nendoroid Aang would be like. 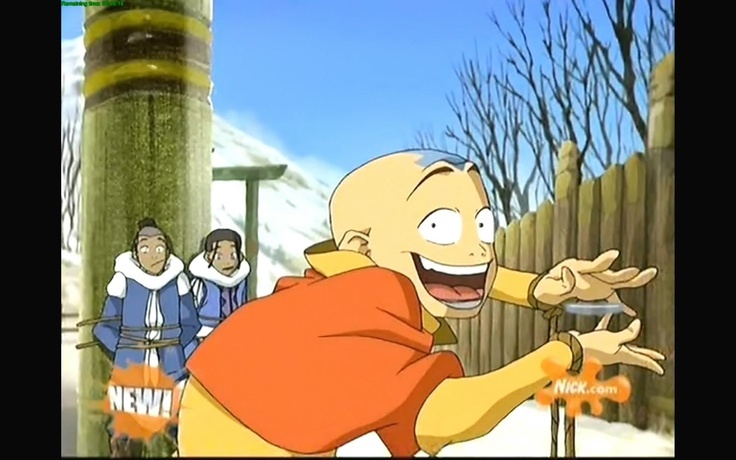 In terms of accessories, I think Aang's glider staff (both staff-mode and glider-mode) and his Air Scooter should be enough. I'm not quite sure how a Nendoroid Aang would pose with the glider given the relative largeness of a Nendo head and smallness of Nendo arms, but I'm sure the geniuses of Nendoron can make it work somehow. The Air Scooter accessory would probably look similar to Nendoroid Naruto's Rasengan, except bigger and with a peg that fits on the base of the stand. You then extend the stand arm way up so that Aang would appear to be floating above the Air Scooter. Now you might think that Aang as an Avatar should have accessories to show him Bending Elements other than Air, but remember that Nendoroid Korra already has Waterbending and Firebending accessories. This is an opportunity for GSC to make more money by enticing people to buy both Avatar Nendoroids so that they can mix and match Bending accessories.